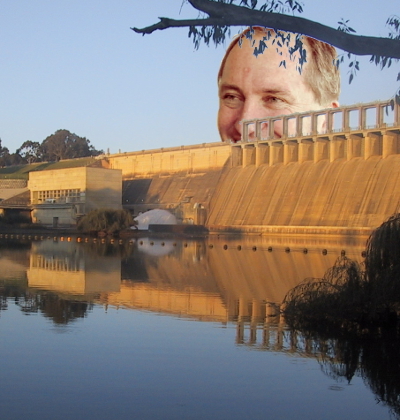 Barnaby Joyce will take the captain’s chair on a voyage toward new and bigger dams. A taskforce has been formed to look into the possibility of large-scale dam construction and associated irrigation development, primarily for northern Australia. Agriculture Minister Barnaby Joyce will be joined by Deputy Prime Minister and Infrastructure Minister Warren Truss, Environment Minister Greg Hunt and Parliamentary Secretary Simon Birmingham, and the Assistant Minister for Infrastructure, Jamie Briggs. It is the most recent taskforce for northern dams since 2012, when the Coalition in opposition at the time identified around 100 potential projects. Mr Joyce was a driving force in the group and in the subsequent report it produced. He says the new group will build on the work of the previous one. “Doing a taskforce before an election has one vital deficiency: you're not in government,” Mr Joyce told the ABC on Tuesday. “Now we are in government, I'll be picking up that report straight away and making sure that that's a large part of exactly what we do. Reports generated outside of the government in the past have said many of the ambition range of ideas are totally unfeasible. Mr Joyce rejects previous findings. “I disagree with some of the issues that CSIRO have reported in the past, that you couldn't have any more irrigation capacity, because was manipulated by the [then Labor] government in such a way as the report was confounded. “It had to come out with that sort of recommendation because the government put so many caveats on things that you weren't allowed to do,” he said. “[In regard to] some of those environmental questions; we have Ramsar wetlands around Lake Argyle [in WA] which is there by reason of the dam being there. “If we look at the flow rate in many rivers, that's attributable to the fact that we've got storage of water capacity upstream, otherwise a lot of these rivers would be predominantly dry through the year.